You are at:Home»Lifestyle»Food & Drink»One of the World’s Most Famous Italian Sparking Wines is now in SA! Those with an affinity for bubbly will be ecstatic to know that one of the world’s most loved Proseccos, Mionetto Prosecco, is now available in South Africa. The Prosecco, which is brought in by local drinks company Truman & Orange, is sure to become a favourite amongst the SA market that enjoys a bit of style with their celebrations. Originating from the north of Italy, the bubbly features fruity, floral flavours, and is considered an “everyday luxury”, according to the Italians, making it an ideal option for a lunch, evening sip. or celebratory dinner. 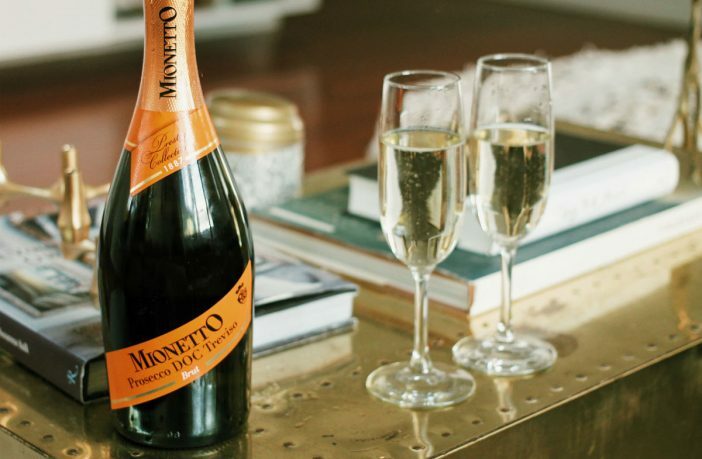 Mionetto Prosecco is launching in South Africa with 3 sparkling wine variants including the Mionetto Prosecco DOC Treviso (an aromatic wine with notes of honey, black liquorice and acacia blossom – R199), Prosecco DOC Treviso Extra Dry, (a smooth and crisp wine with an apricot fragrance – R199), and the premium Valdobbiadene Prosecco Superiore DOCG Extra Dry (with flavours of green apple, acacia blossom and full-flowering wisteria – R250). Mionetto Prosecco is available in select high-end outlets including Norman Goodfellows in Illovo, Johannesburg as well as local eateries like The Grand in Cape Town; as well as Old Town Italy in Menlyn, Pretoria, and Umhlanga Rocks, Durban. Want more wine-related reads? Check out our list of 5 Must-Try Winter Warmer Wines.